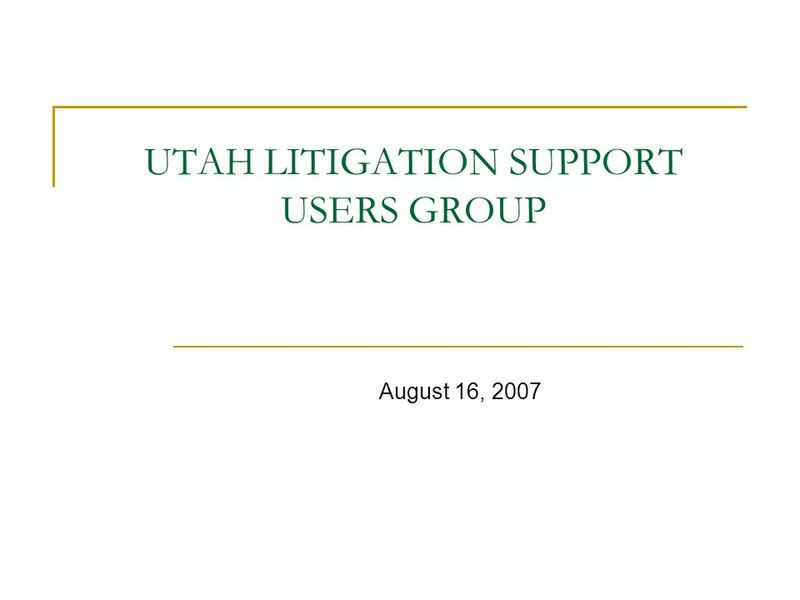 UTAH LITIGATION SUPPORT USERS GROUP August 16, 2007. 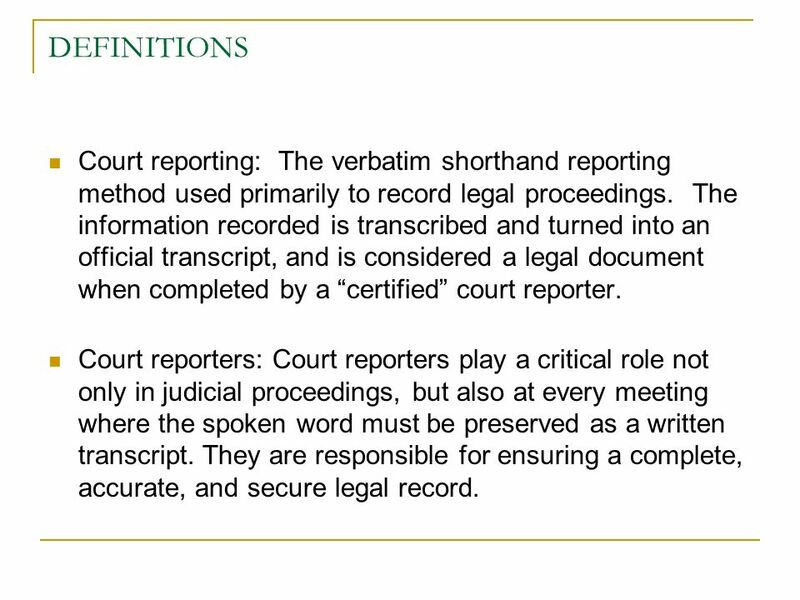 7 DEFINITIONS Court reporting: The verbatim shorthand reporting method used primarily to record legal proceedings. 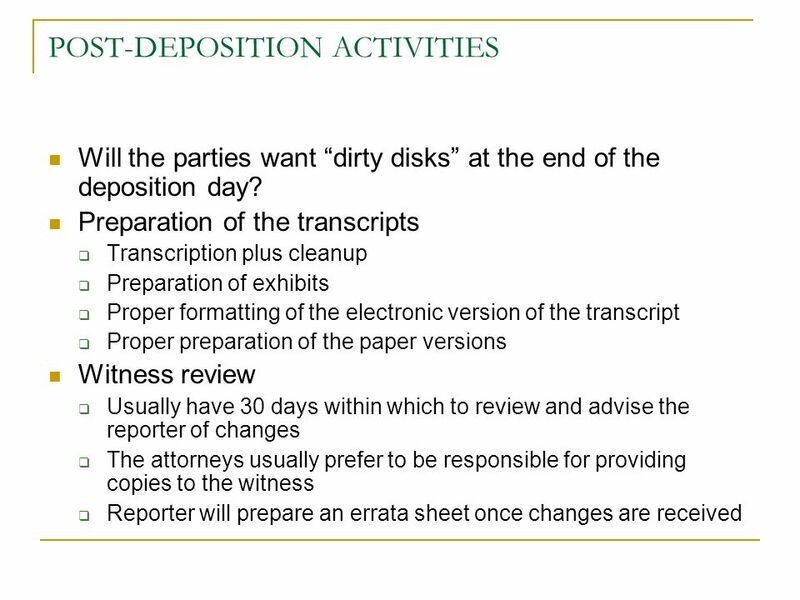 The information recorded is transcribed and turned into an official transcript, and is considered a legal document when completed by a certified court reporter. 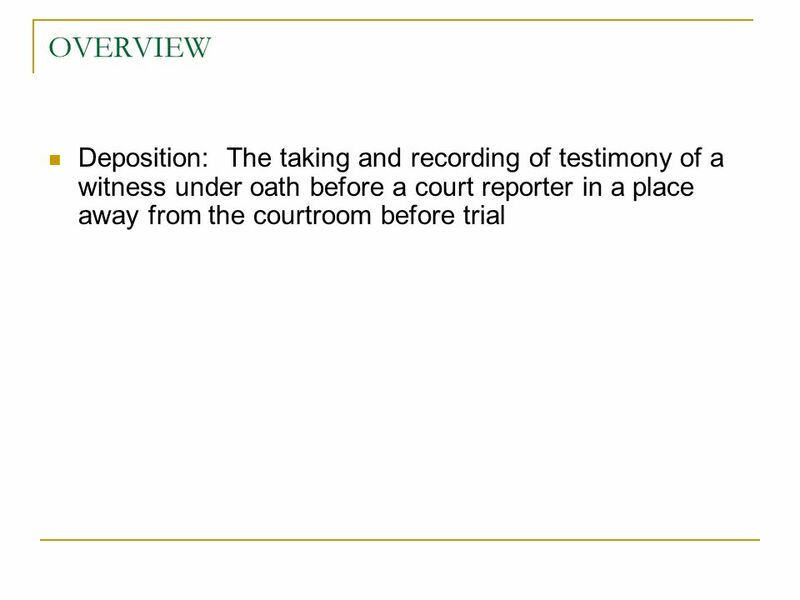 Court reporters: Court reporters play a critical role not only in judicial proceedings, but also at every meeting where the spoken word must be preserved as a written transcript. 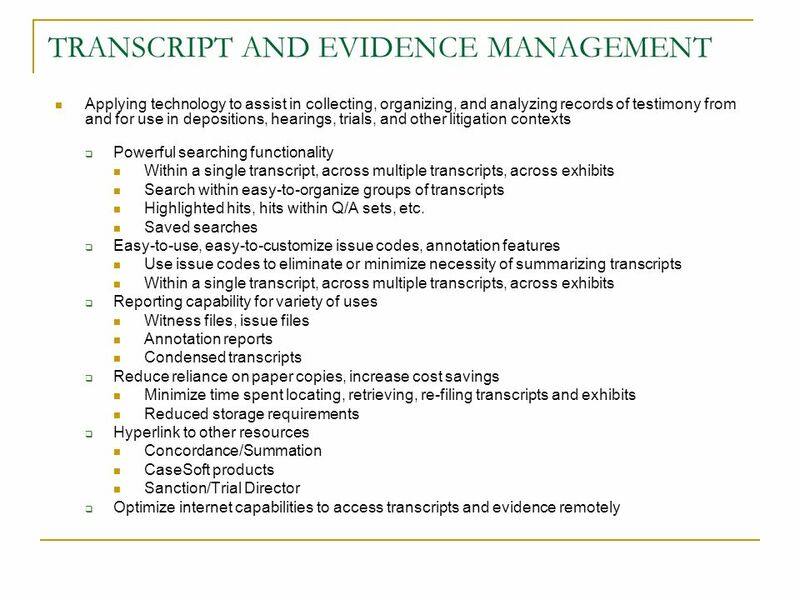 They are responsible for ensuring a complete, accurate, and secure legal record. 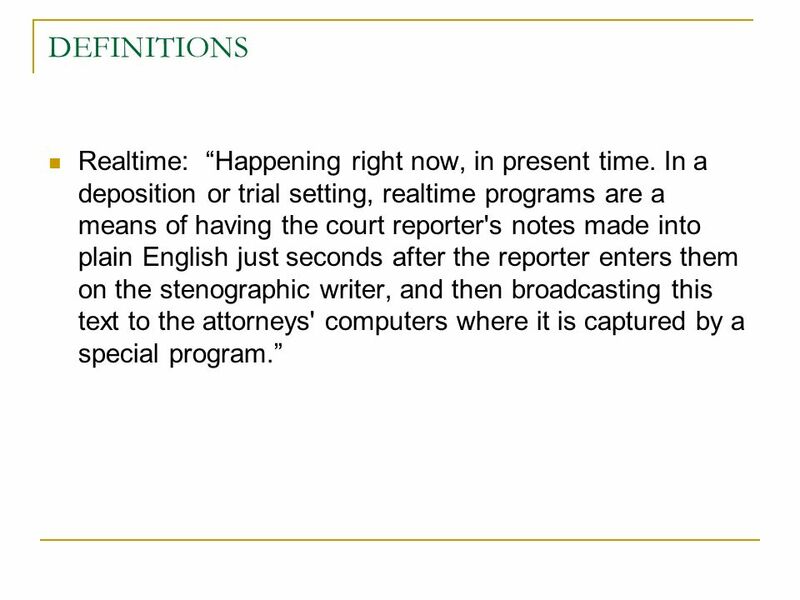 8 DEFINITIONS Realtime: Happening right now, in present time. 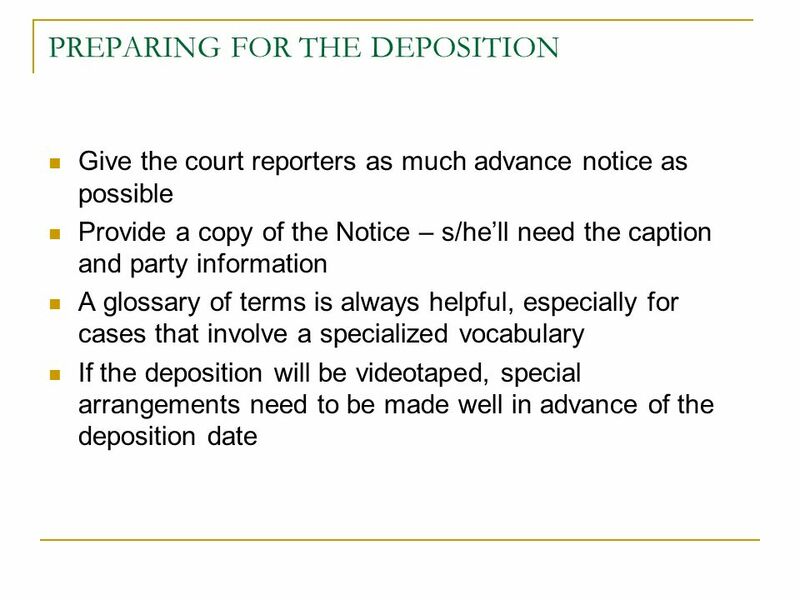 In a deposition or trial setting, realtime programs are a means of having the court reporter's notes made into plain English just seconds after the reporter enters them on the stenographic writer, and then broadcasting this text to the attorneys' computers where it is captured by a special program. 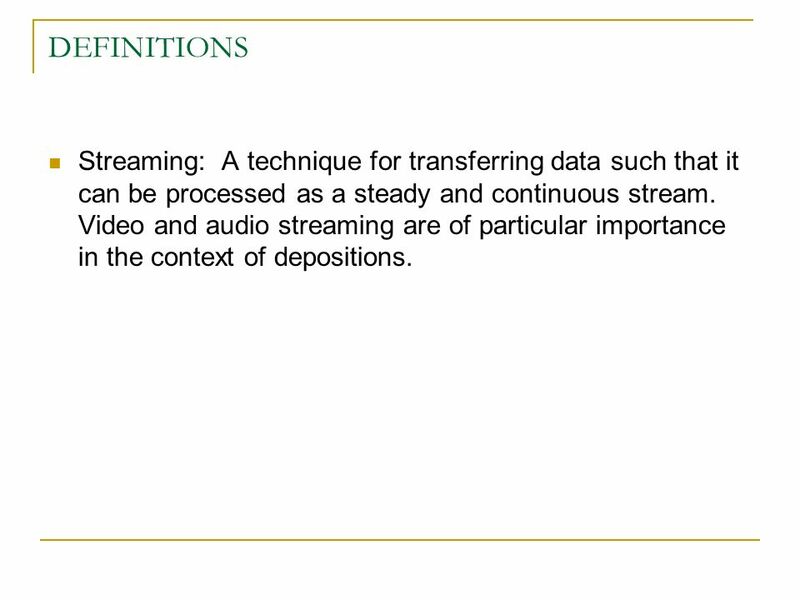 9 DEFINITIONS Streaming: A technique for transferring data such that it can be processed as a steady and continuous stream. 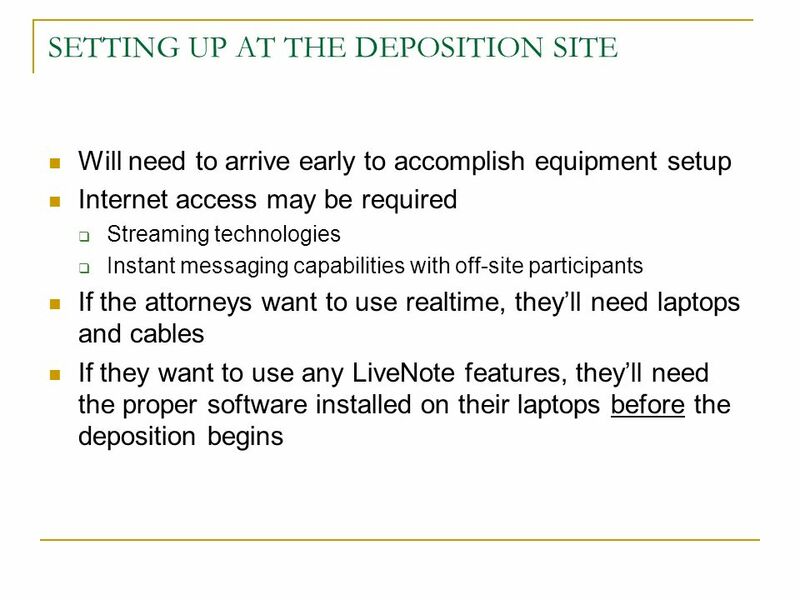 Video and audio streaming are of particular importance in the context of depositions. 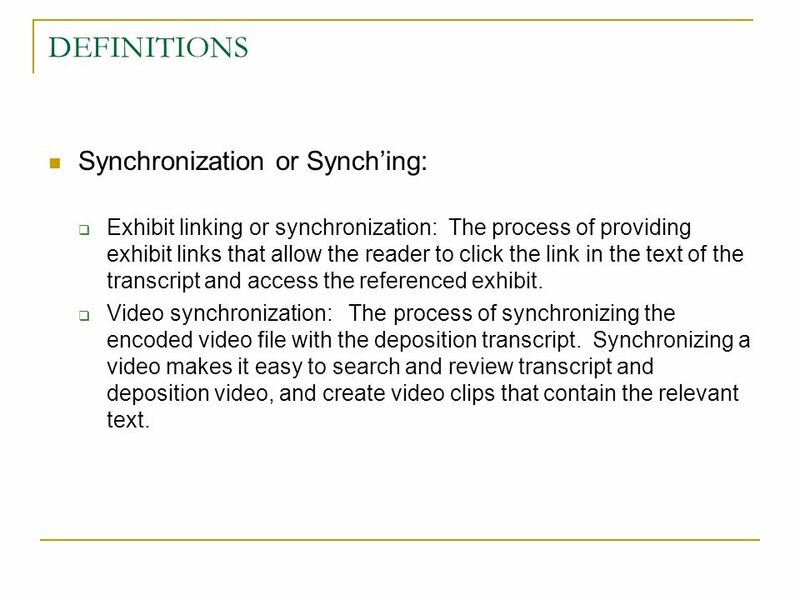 10 DEFINITIONS Synchronization or Synching: Exhibit linking or synchronization: The process of providing exhibit links that allow the reader to click the link in the text of the transcript and access the referenced exhibit. 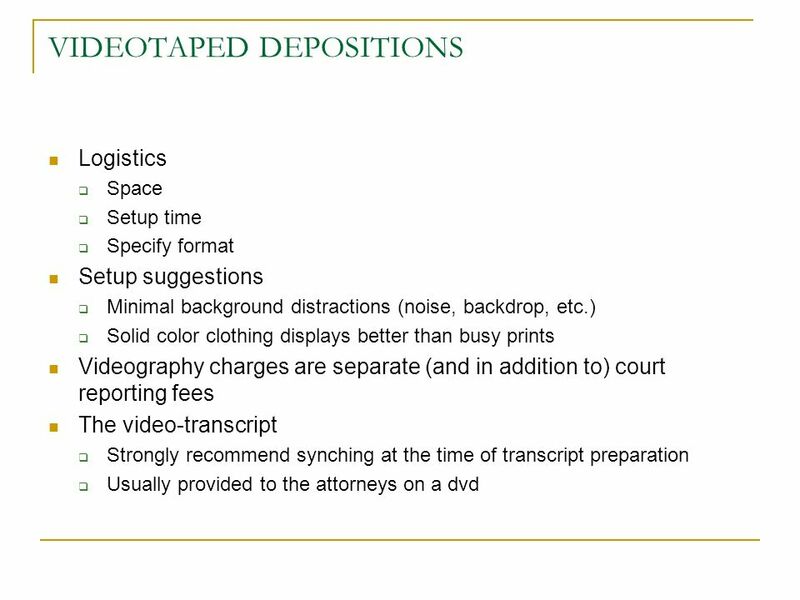 Video synchronization: The process of synchronizing the encoded video file with the deposition transcript. 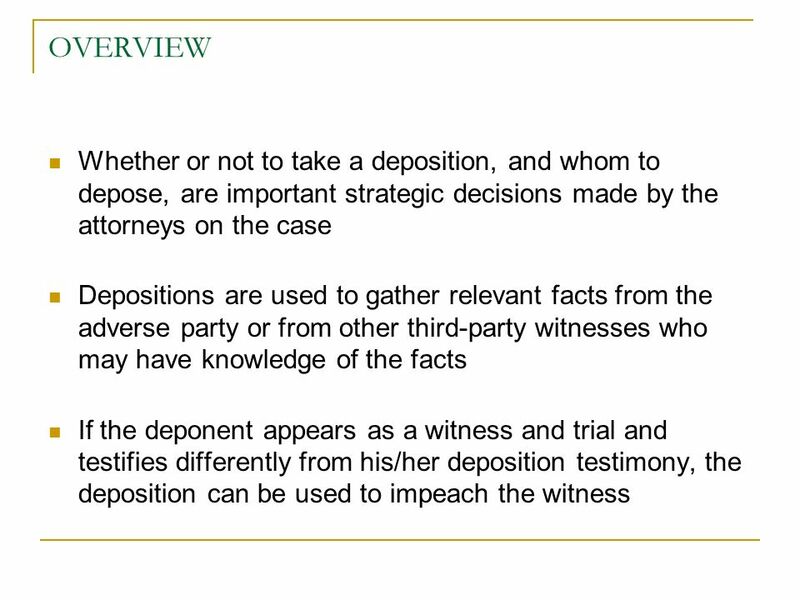 Synchronizing a video makes it easy to search and review transcript and deposition video, and create video clips that contain the relevant text. 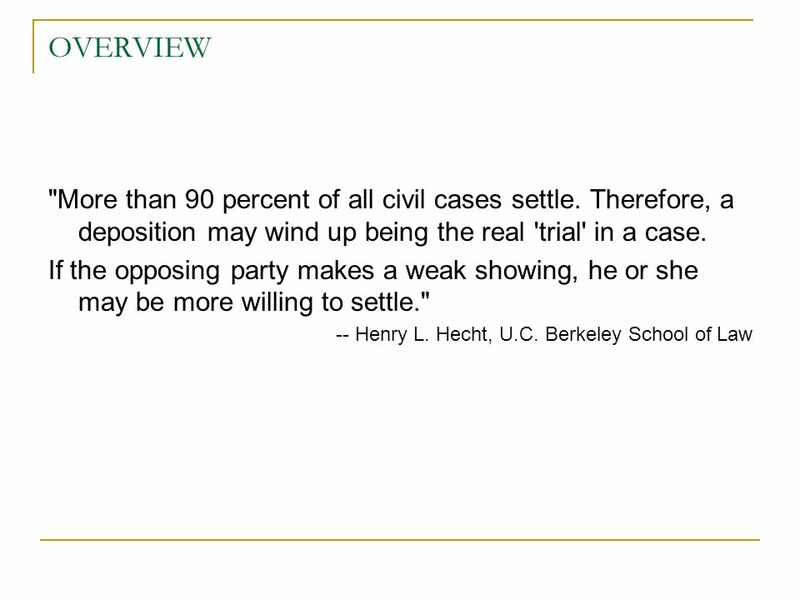 Download ppt "UTAH LITIGATION SUPPORT USERS GROUP August 16, 2007." 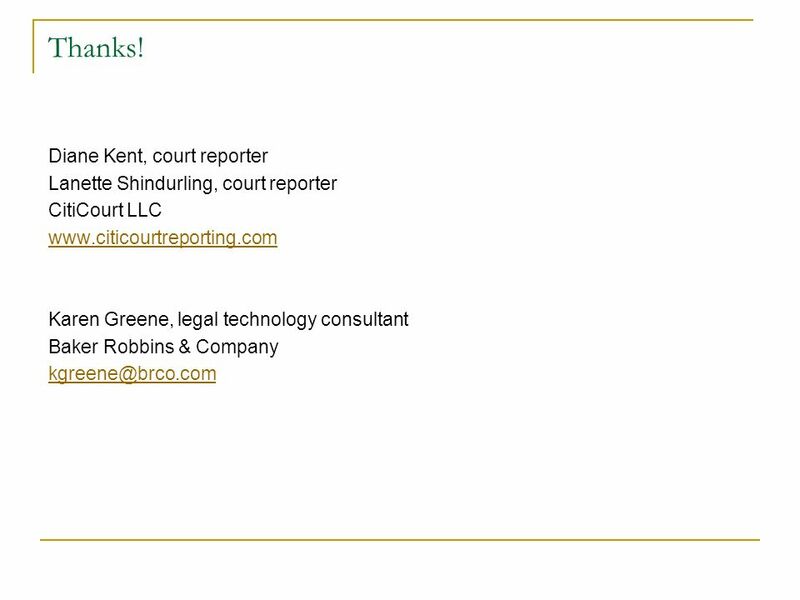 Powered by National Court Reporters Foundation Powered by National Court Reporters Foundation Presented by YOUR NAME HERE YOUR PHOTO HERE. Darrin Courtroom Tour LSUHSC-Human Development Center Ready to Achieve Mentoring Program Walter L. Cohen Academy of Health Sciences. 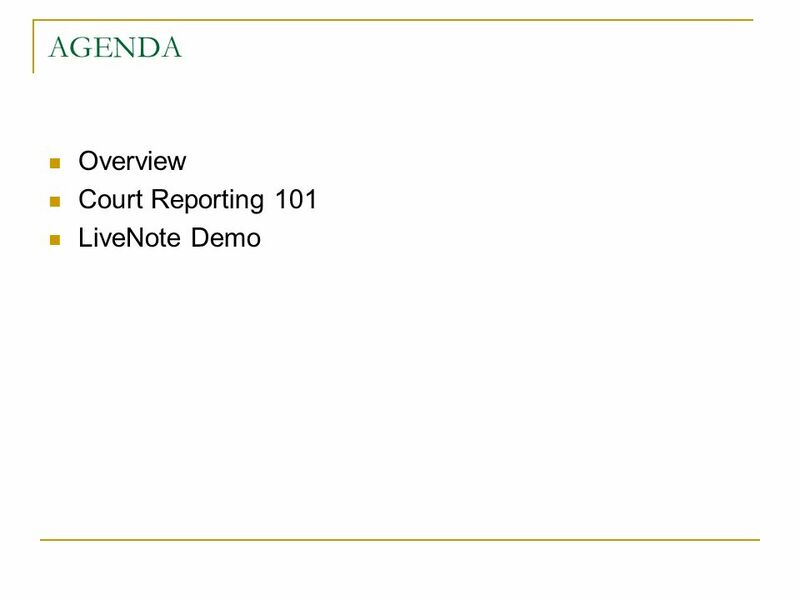 Frontloading under Akwa Ibom State High Court (Civil Procedure) Rules 2009 Presentation by Paul Usoro, SAN to NBA Branches in Akwa Ibom State on 09 September. 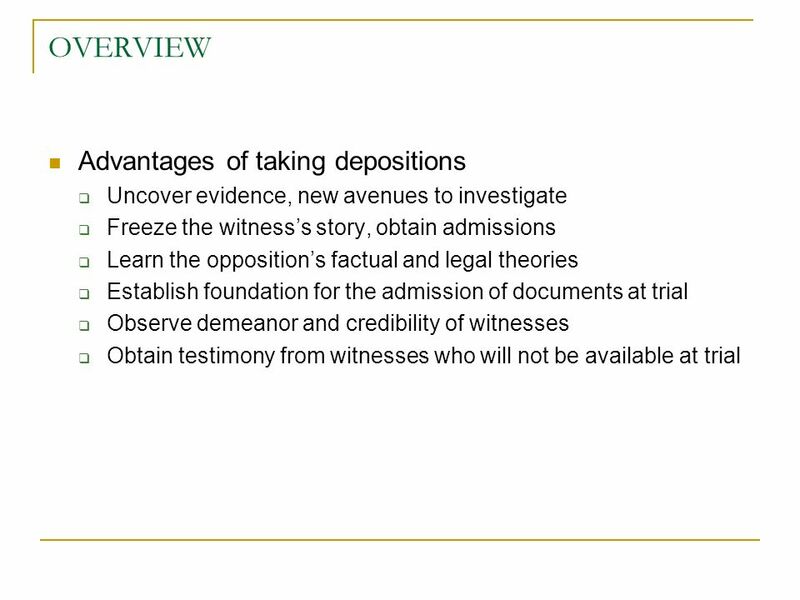 5 Vital Components of Every Custodian Interview David Meadows, PMP, Managing Director – Discovery Consulting, Kroll Ontrack Dave Canfield, EJD, Managing. 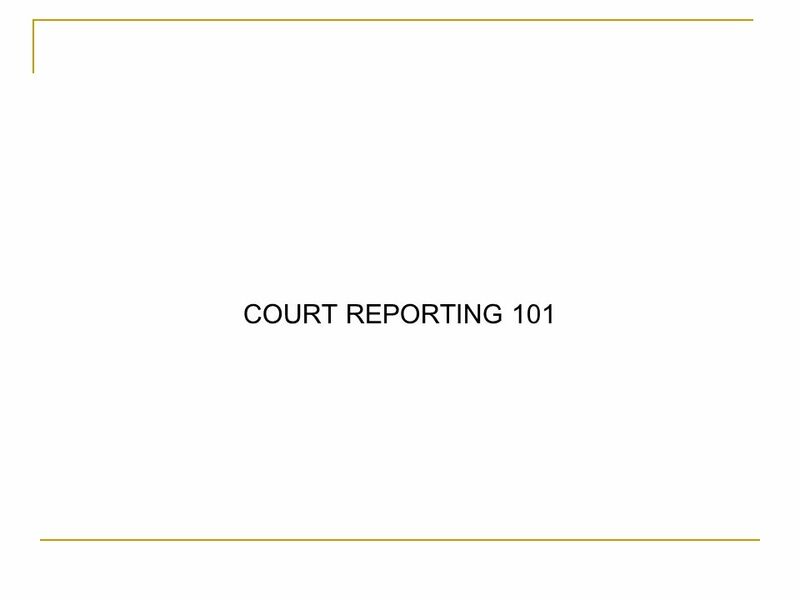 Court Reporting A Great Career Starts Here. A Tradition of Responsibility Profession Dates back to 4 th century BCE –The “&” symbol we use today is one.